Is this the best joke in a while? 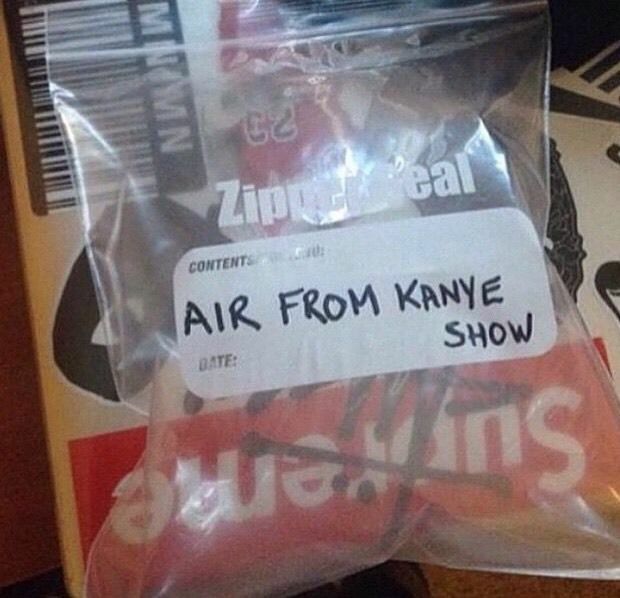 Or is someone seriously about to make over $60,000 selling a crudely labeled sealed bag of air supposedly collected at the Yeezus tour? The image above is all that is known about the bag. At the time of publishing, the sale had 90 bids, so people are clearly attempting to purchase. With 3 days left on the auction, who knows what will happen. Please note, we don’t recommend getting involved in the bidding war. Watch the madness unfold on eBay over the next 3 days.